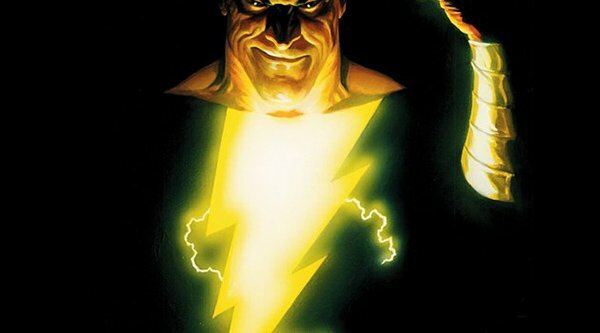 If you plan on playing as Shazam in the upcoming Injustice: Gods Among Us then you should be happy to know his arch nemesis, Black Adam, is now a confirmed playable character. Black Adam’s origins reveal him to be the ancient Egyptian predecessor of Captain Marvel that fought his way into modern times to challenge his nemesis. Yet, Black Adam has turned out to be more than just a one-sided villain thanks to DC writers such as David S. Goyer, Geoff Johns and Jerry Ordway. The stories that these authors created helped mold Black Adam into a corrupted anti-hero that simply wants to clear his name. With the knowledge that Black Adam hovers between the lines of hero and villain it will be interesting to see what he brings to the storyline of Injustice. The companion comics that have been releasing digitally reveal an extremely dark origin for the Injustice plot. Superman faces the loss of his unborn child, Lois Lane, and Jimmy Olsen after they are murdered by the Joker. Metropolis is reduced to rubble and forces Superman to declare a new world order known as The Regime. He declares a global cease fire and anyone standing in his way is pretty much going down a one way trip to a Kryptonian beat-down. A resistance rises through Batman’s creation of The Insurgency. The Dark Knight aims to stand toe-to-toe against the Man of Steel and bring an end to his reign once and for all. It will be interesting to see how the story concludes as two classic DC heroes are pitted against each other. What do you make of Black Adam’s announcement for Injustice: Gods Among Us? Which side do you think he will align with? Be sure to leave us your thoughts in the comments below and make your voice heard.